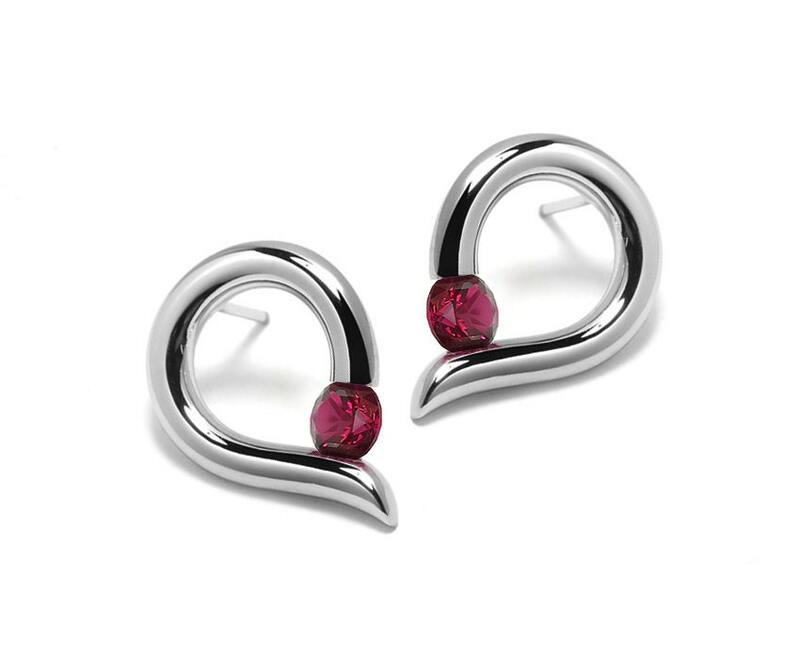 Elegant Polished Stainless Steel Studs Post Earrings with Tension Set round Garnet. Our designs can't be duplicated by using casting techniques like traditional over-the-counter jewelry, manufactured of softer alloys: platinum, gold or silver, (that is stamped-out by machine or poured into molds, lost wax techniques), because each and every of our piece must to be worked totally by hand. Every item of Taormina designs is hand-cut from its solid Stainless steel piece, cutting away the excess, leaving no seams, or dents spots, until the final result is reached and consequentially becomes one-of-a-kind.